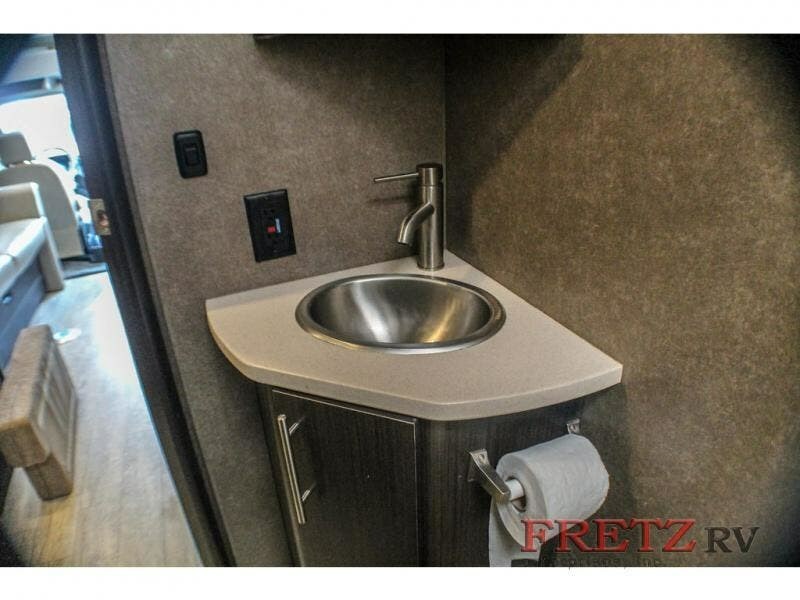 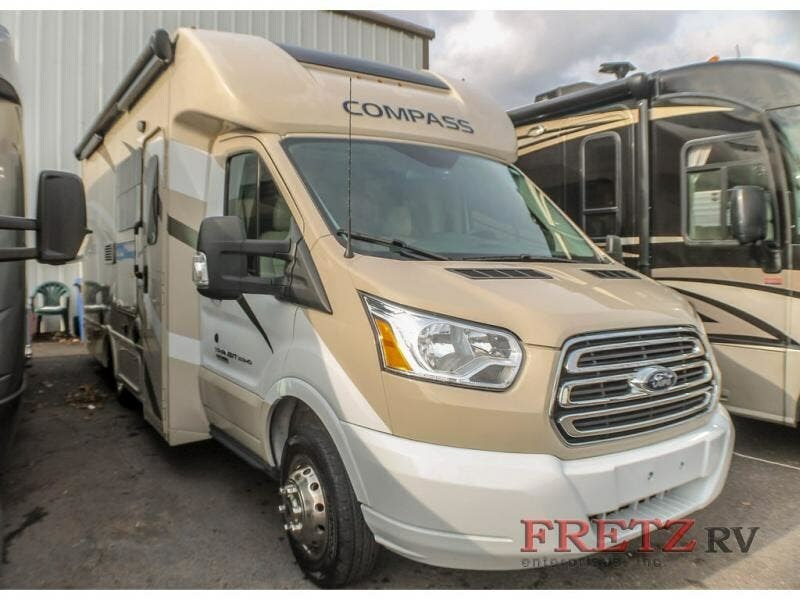 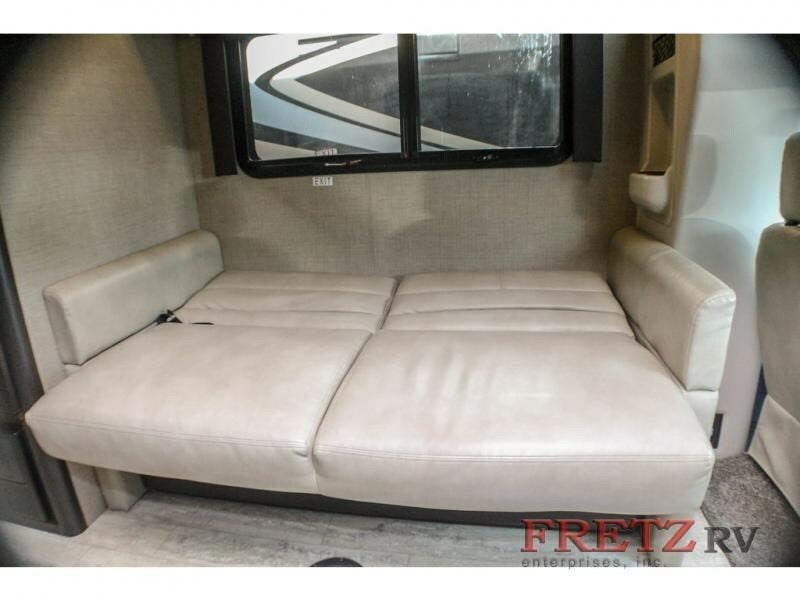 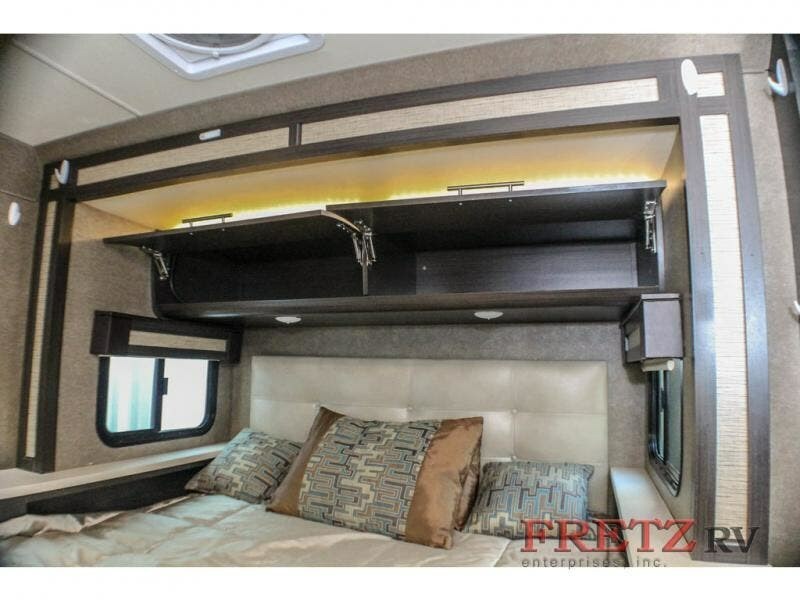 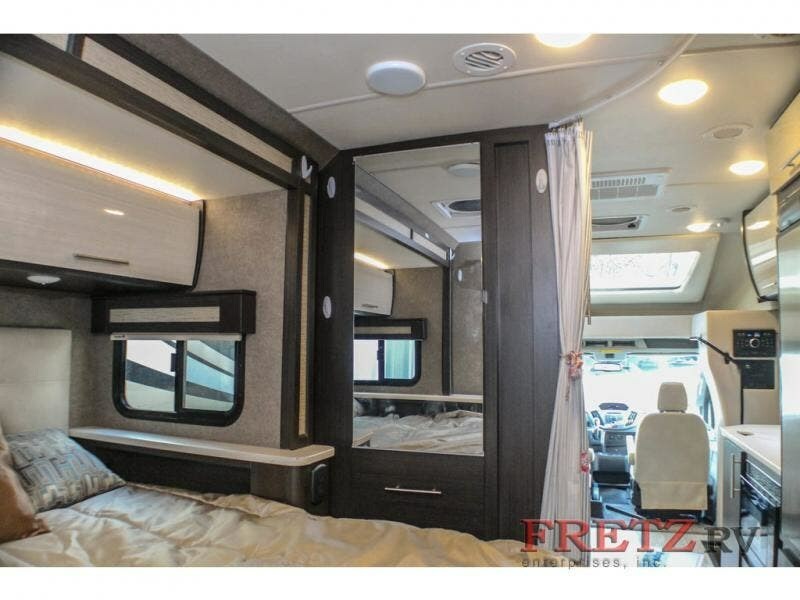 Travel in comfort everywhere you go in this Compass class C diesel motorhome by Thor Motor Coach. 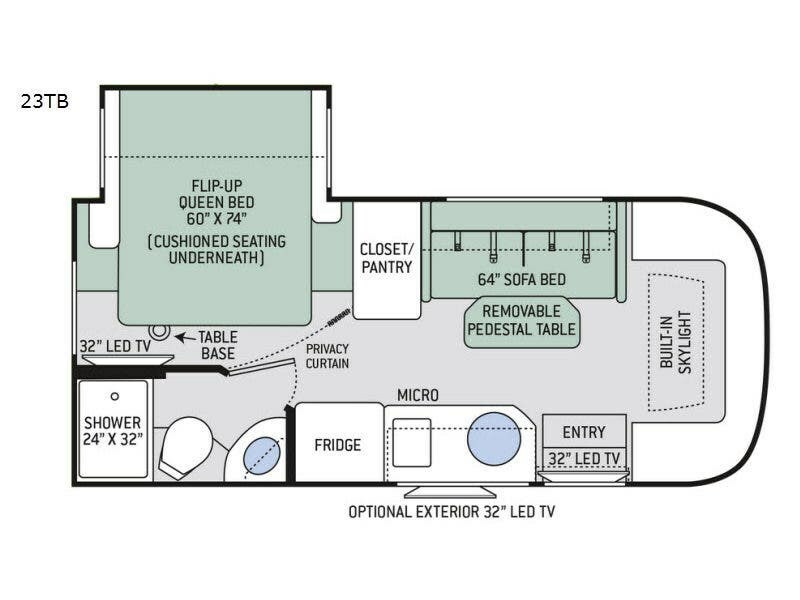 Model 23TB features all the amenities needed for a couple plus one or two, including a complete bath, a single slide out, and much more! 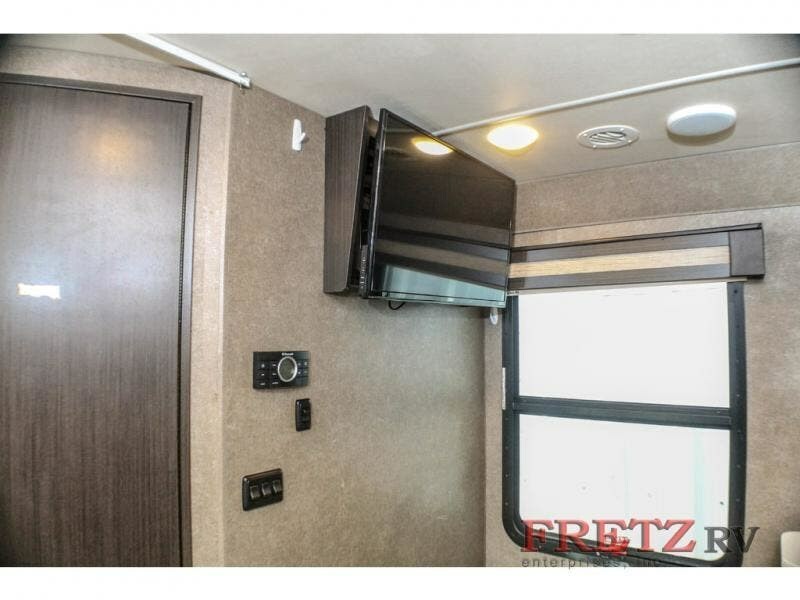 Enter in front behind the passenger's seat and notice a 32" LED TV overhead. 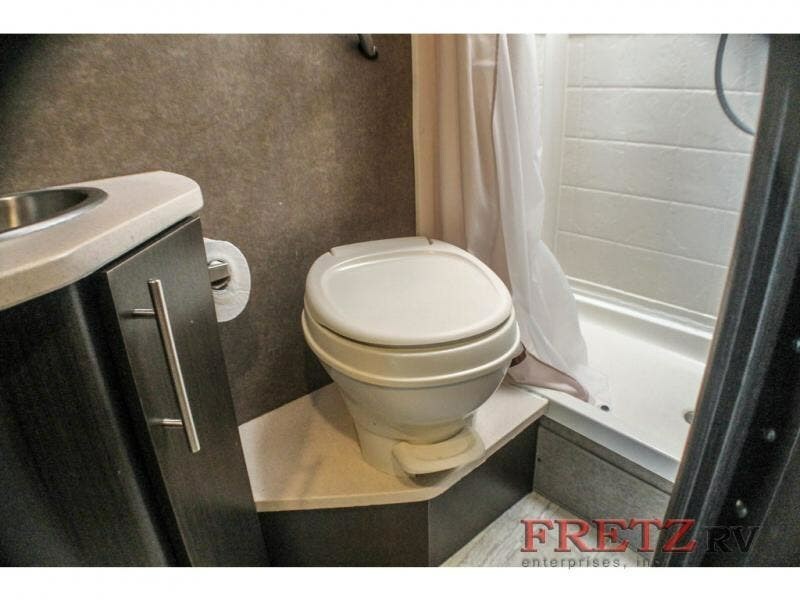 This can easily be viewed from the sofa on the opposite side. 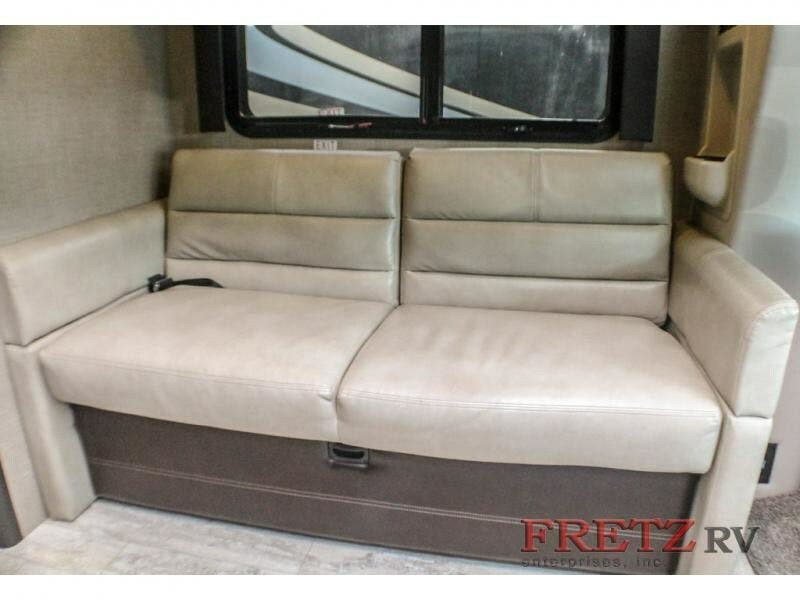 There are two sets of seat belts for your rear travelers, and the sofa can easily be turned into sleeping space for on board guests. 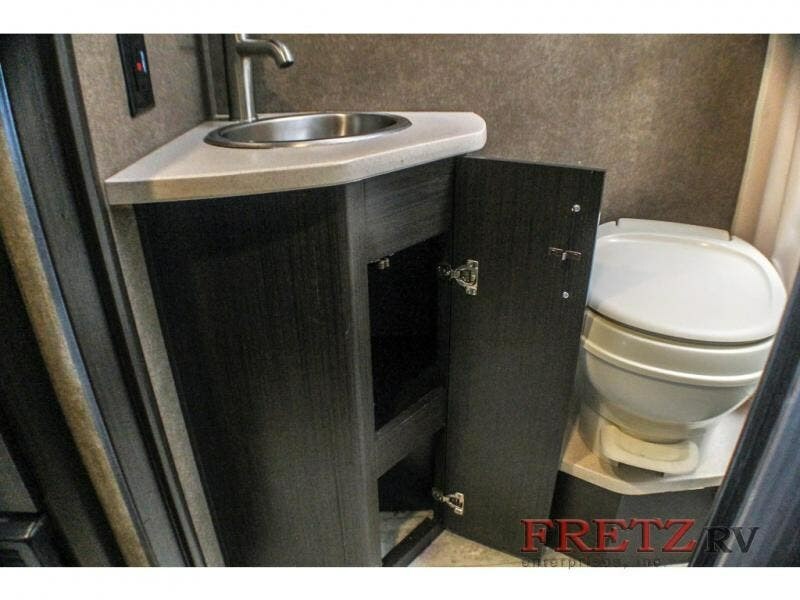 A removable pedestal table creates a nice dining space up front. 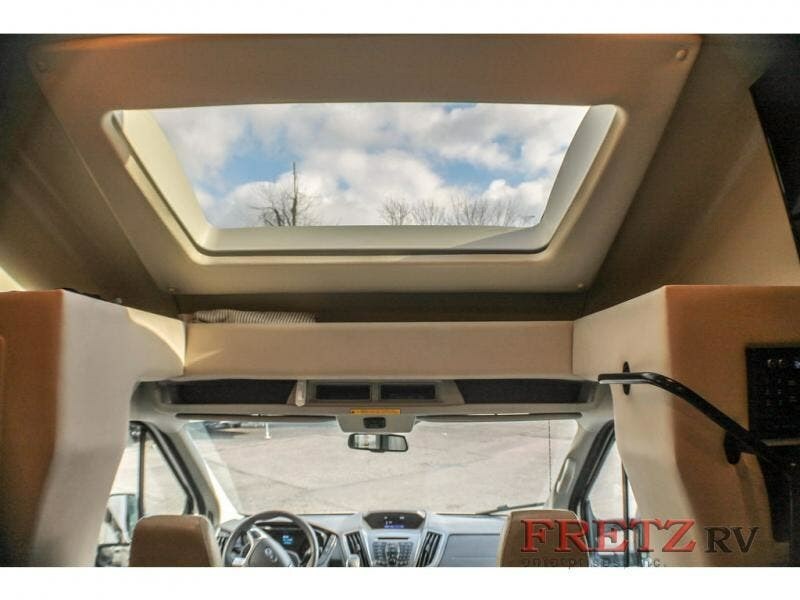 Plus there is a built-in skylight over the cab area providing more natural light inside. 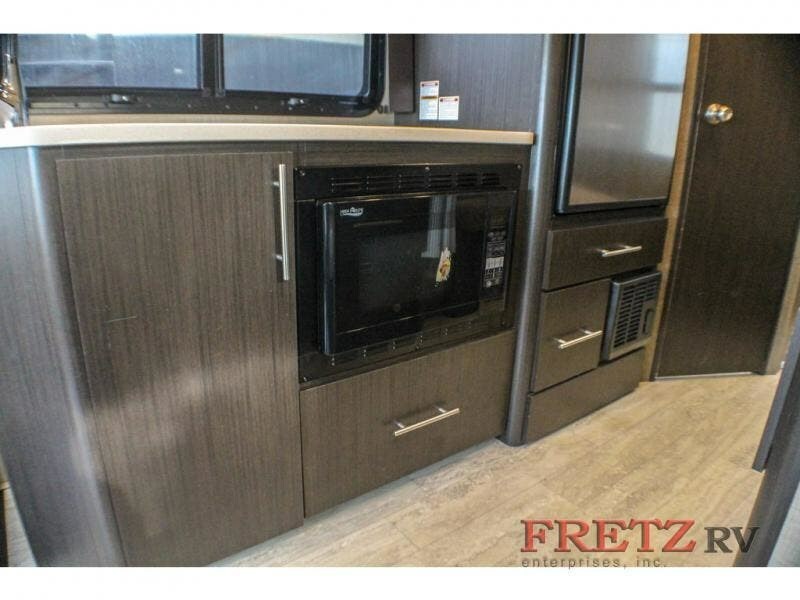 To the left of the entrance enjoy cooking and preparing light meals and snacks with a two burner cook-top, convection microwave oven, refrigerator, and round kitchen sink. 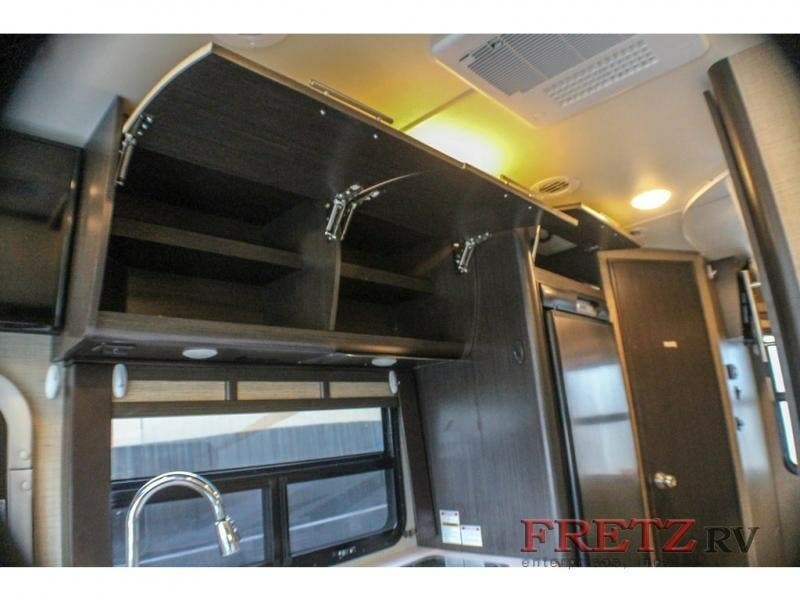 There are ample overhead cabinets for stowing away your dishes and things. 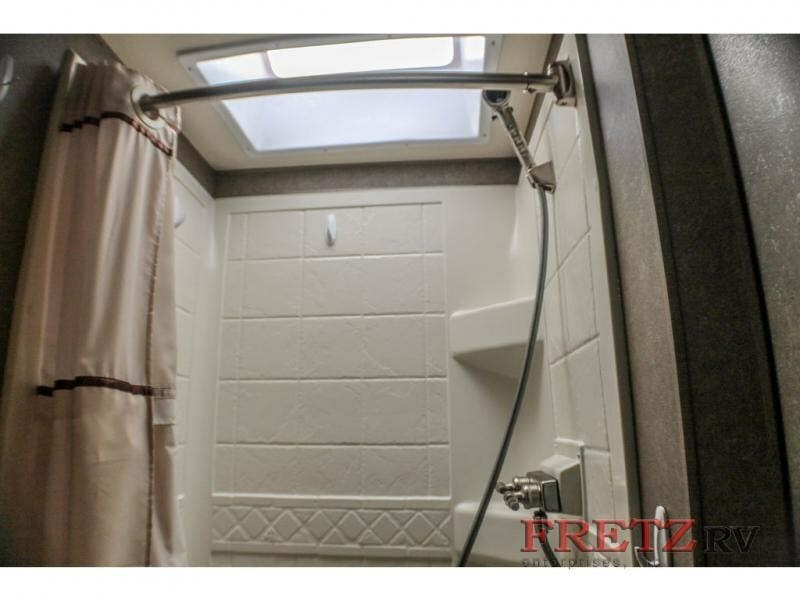 The rear corner bathroom features a 24" X 32" shower, toilet, and sink with overhead storage. 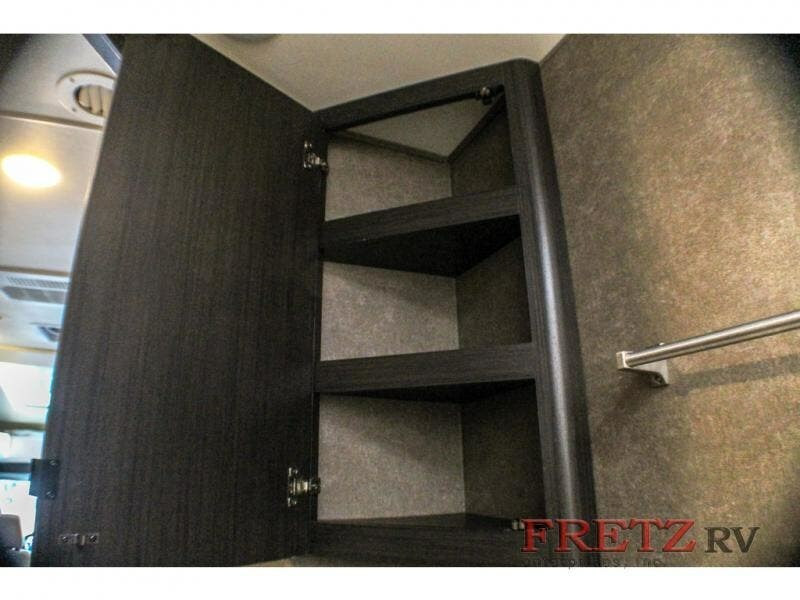 There is also a closet/pantry next to the sofa for additional storage. 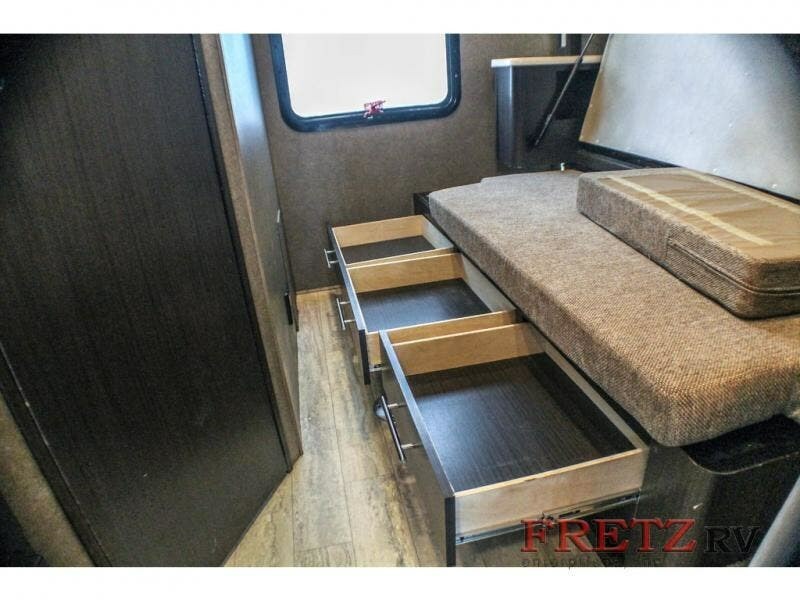 A flip-up queen size bed slides out along the road side providing a bit more space inside with cushioned seating underneath. 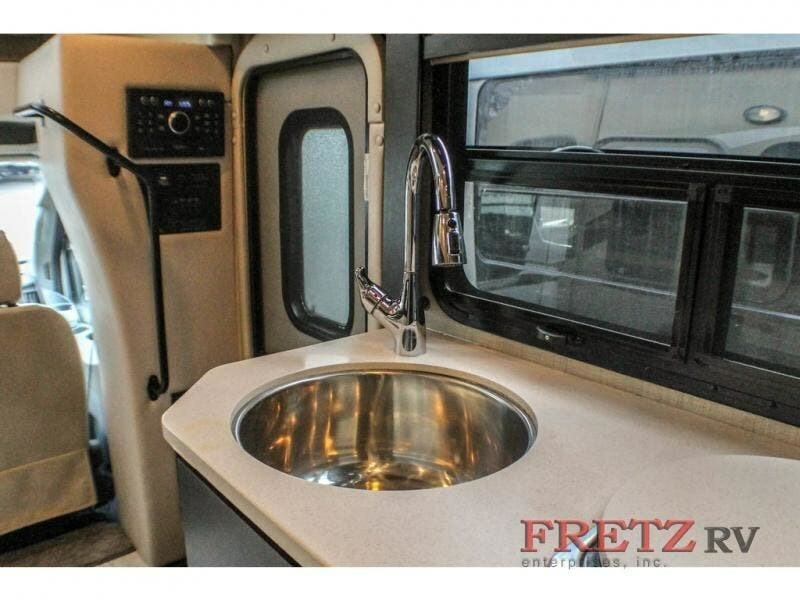 There is also a table base, and a 32" LED TV. 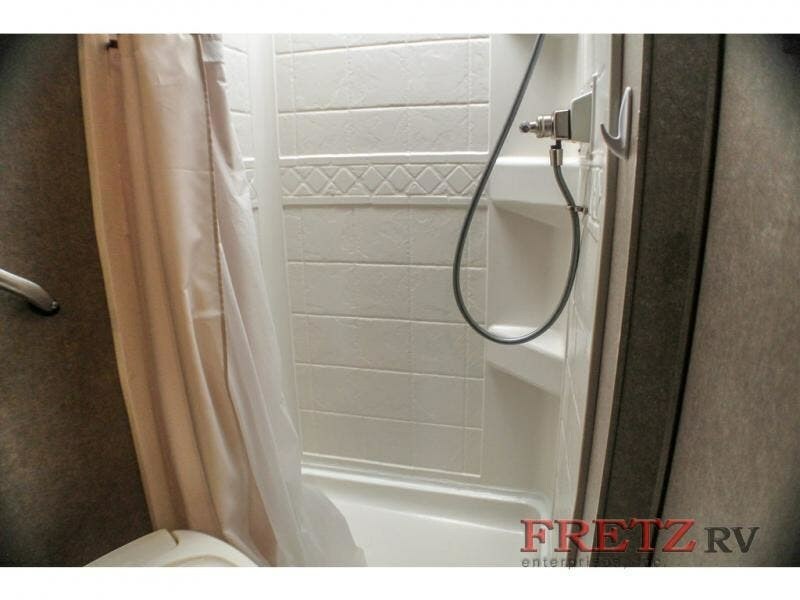 A curtain can be pulled to give you more privacy in the bedroom area at night, plus so much more! 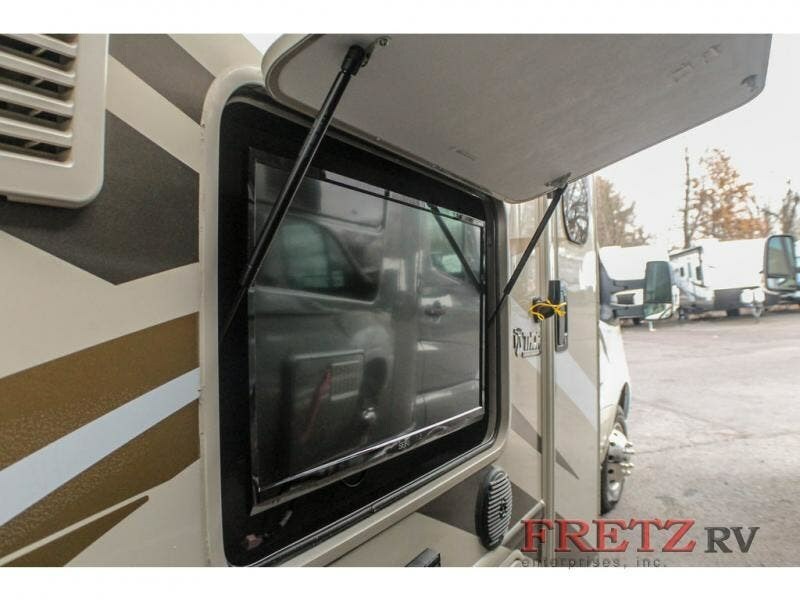 You can choose to add the optional exterior 32" LED TV so you can enjoy your favorite TV shows or movies outside. 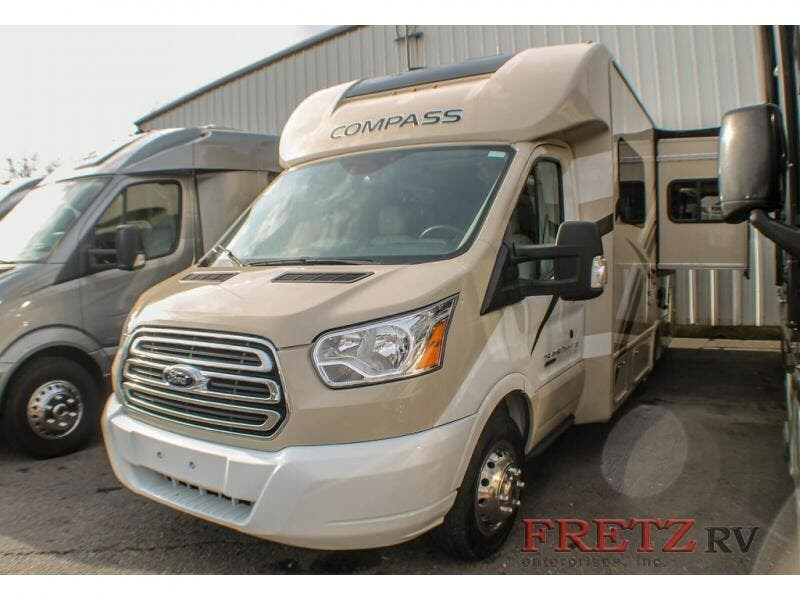 We are a top dealer for all 2017, 2018, and 2019 Leisure Travel Vans , Renegade Vienna and Villagio, Midwest Vans, Chinook, Pleasure-Way, Jayco, Roadtrek, Winnebago Era & Travato, Itasca, Coachmen Galleria and Cross Fit motorhomes, in the Philadelphia, Delaware, New Jersey, Maryland and New York Areas. 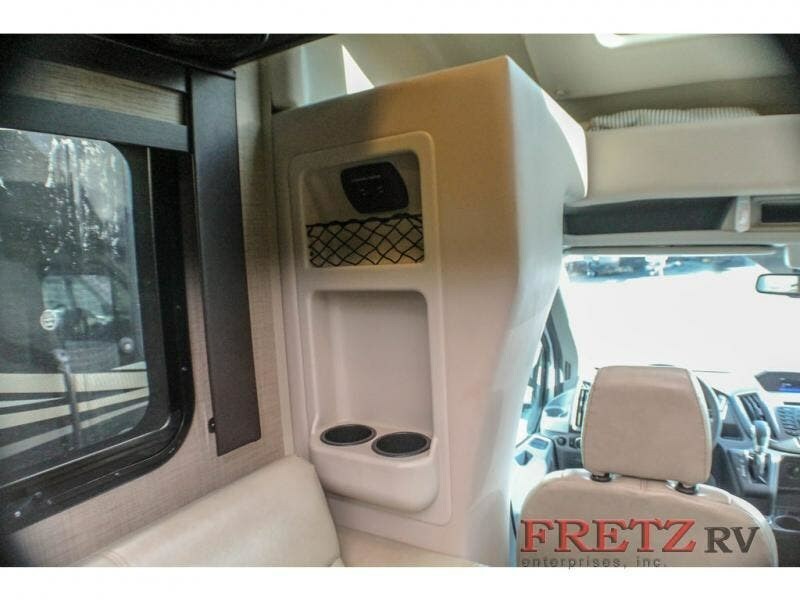 These campers come on the Mercedes diesel Sprinter, Ford gas, Transit, Dodge Ram Promaster, and Chevrolet, Chevy chassis. 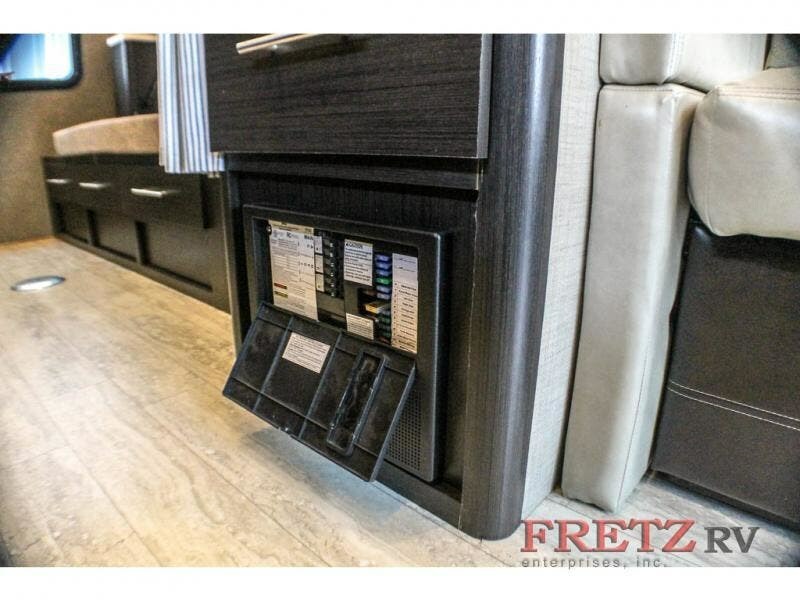 These luxury motor coaches are in the top of its class. 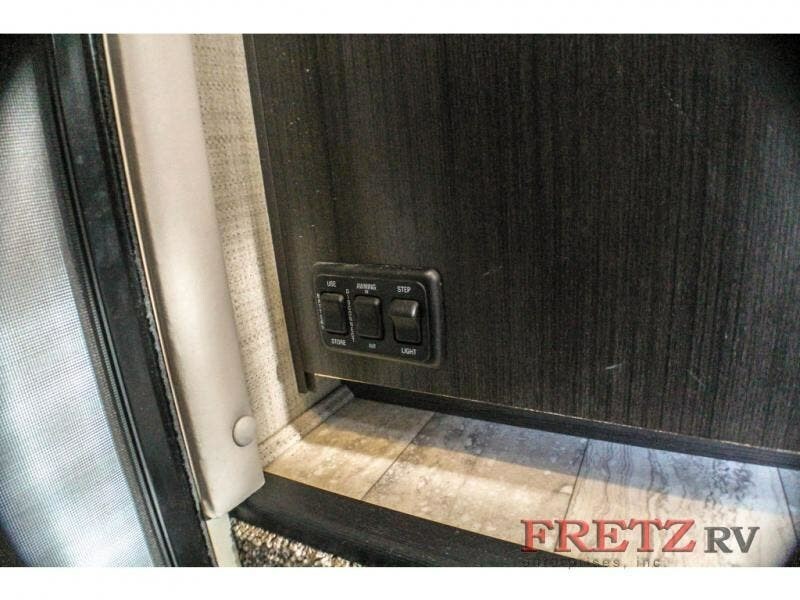 These motor coaches are considered class A, B, C Super C. Floorplans come anywhere between zero to 4 slides. 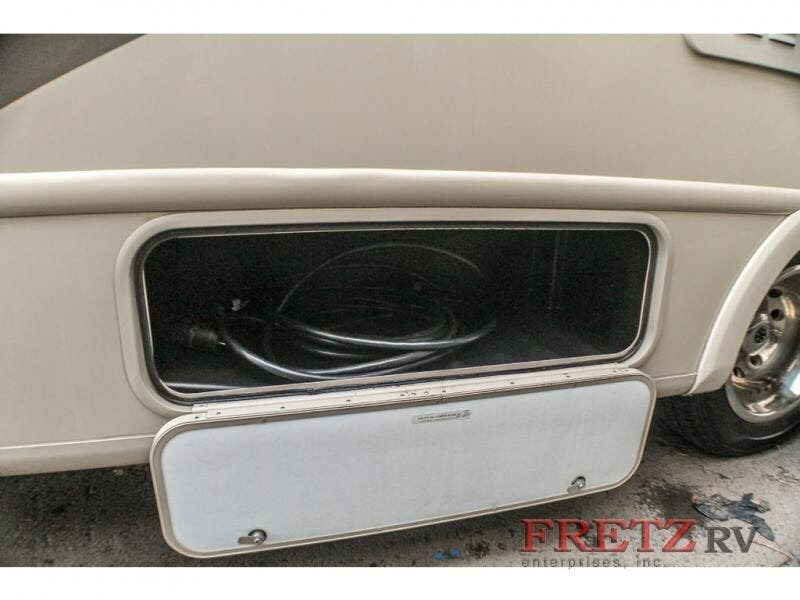 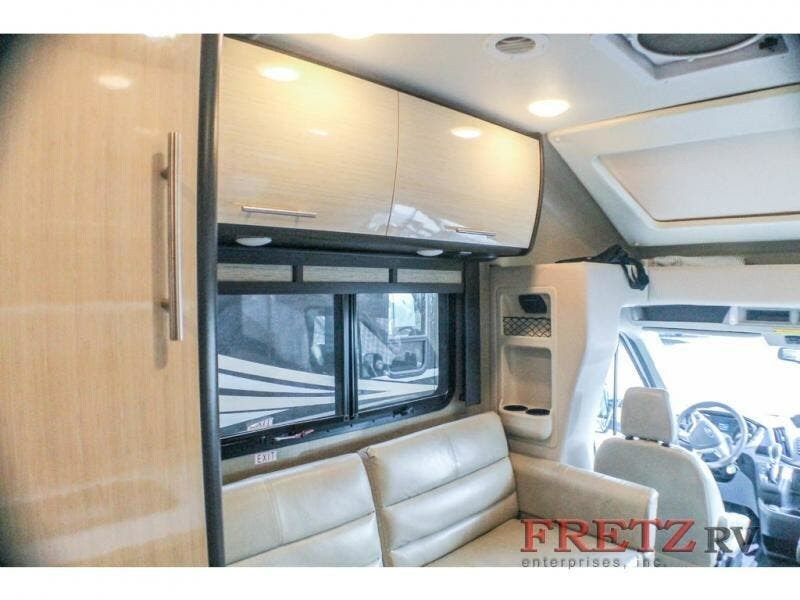 We also carry used and Certified Pre-owned RVs like Fleetwood Bounder, Allegro Bus, Phaeton, Dutch Star, Dynasty, Mountain Aire, Discovery, View, Rialta, Born Free, Airstream and are always below NADA values. 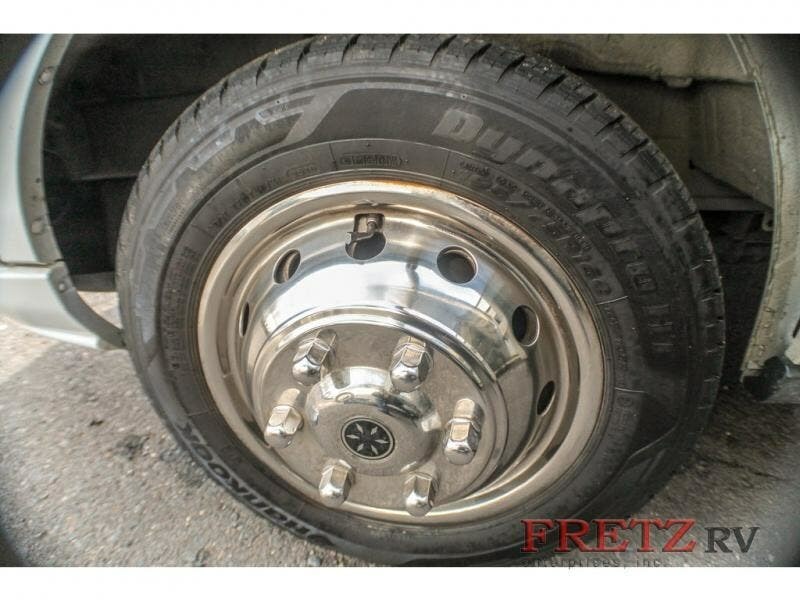 We take all types of trades. 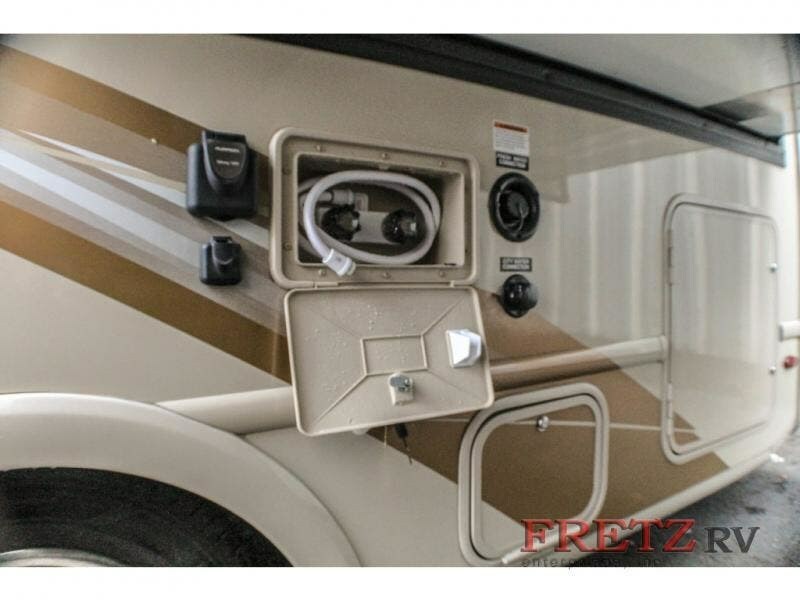 When it comes to RVs, we are your full service stop. 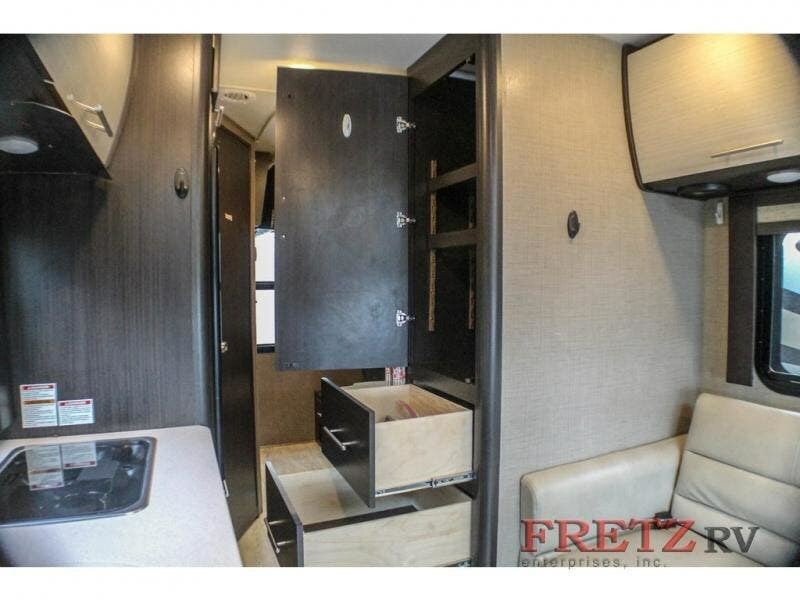 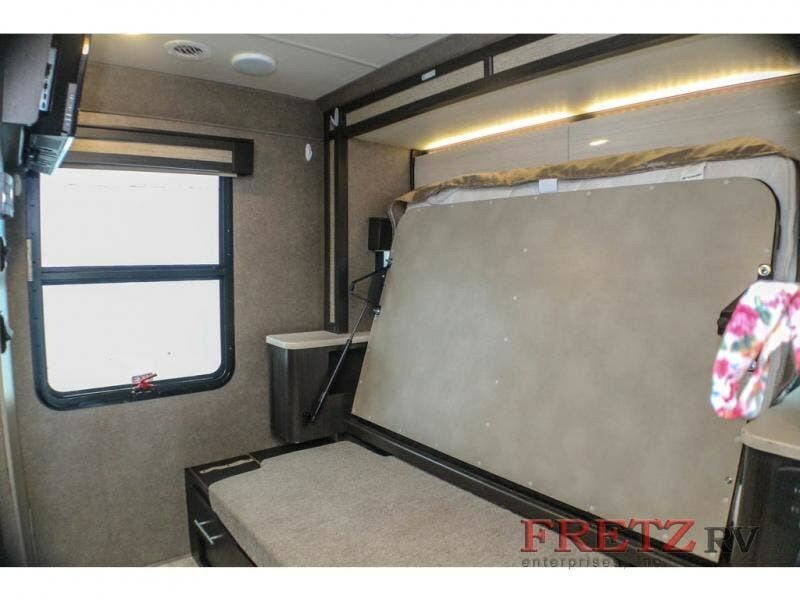 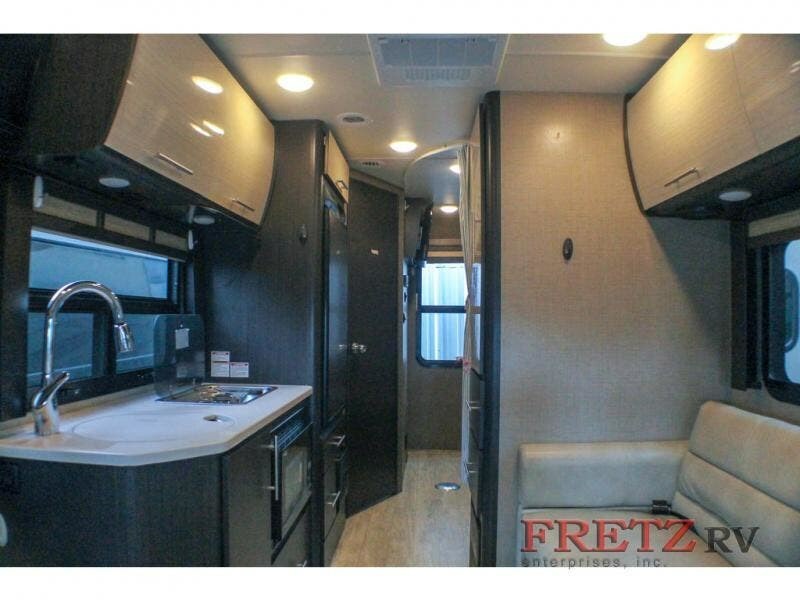 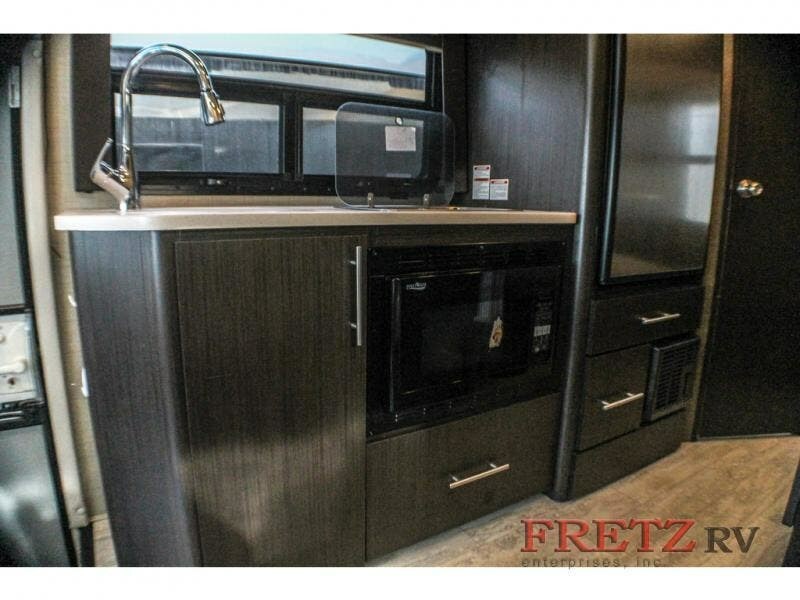 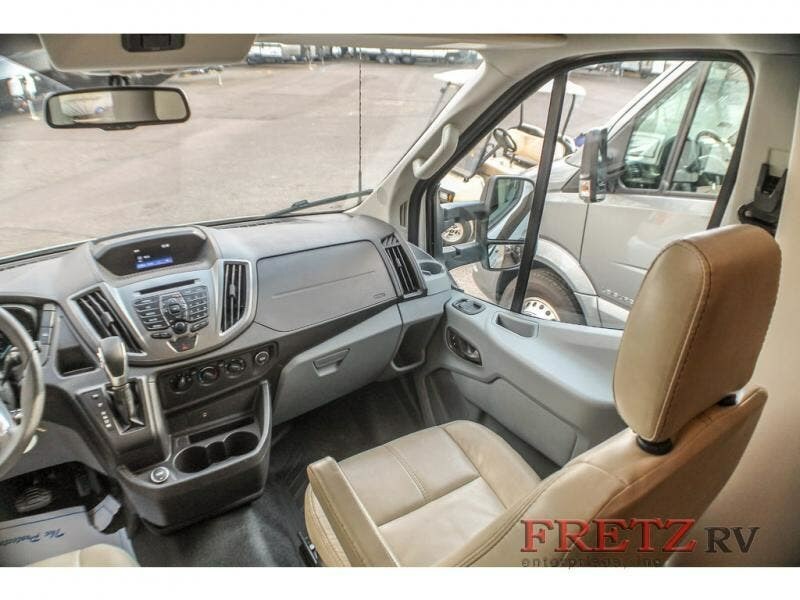 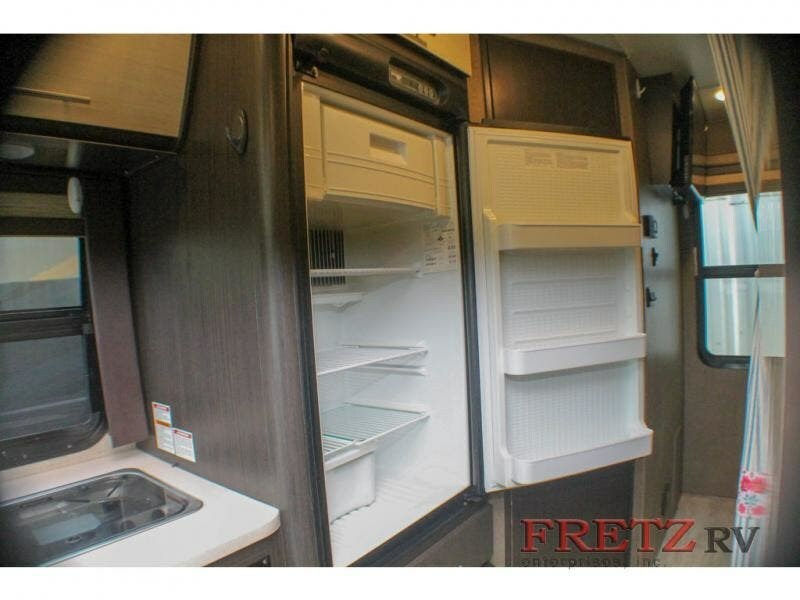 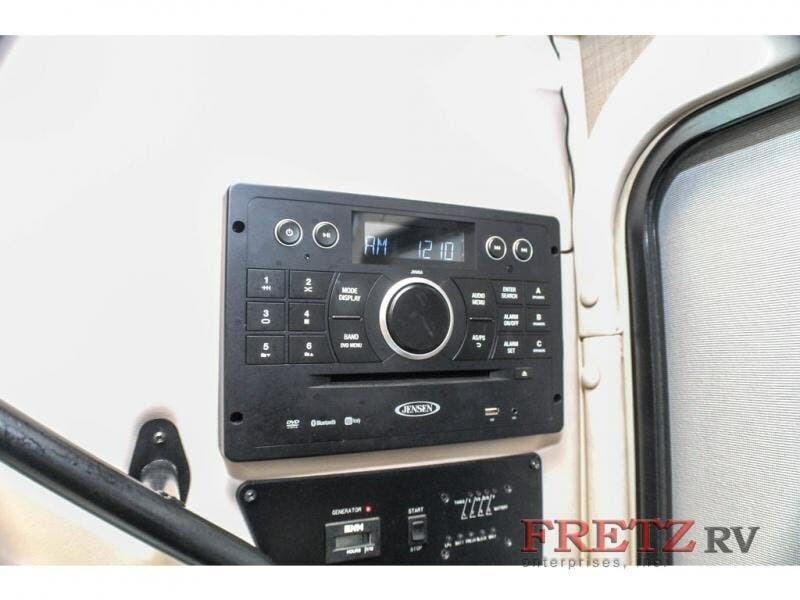 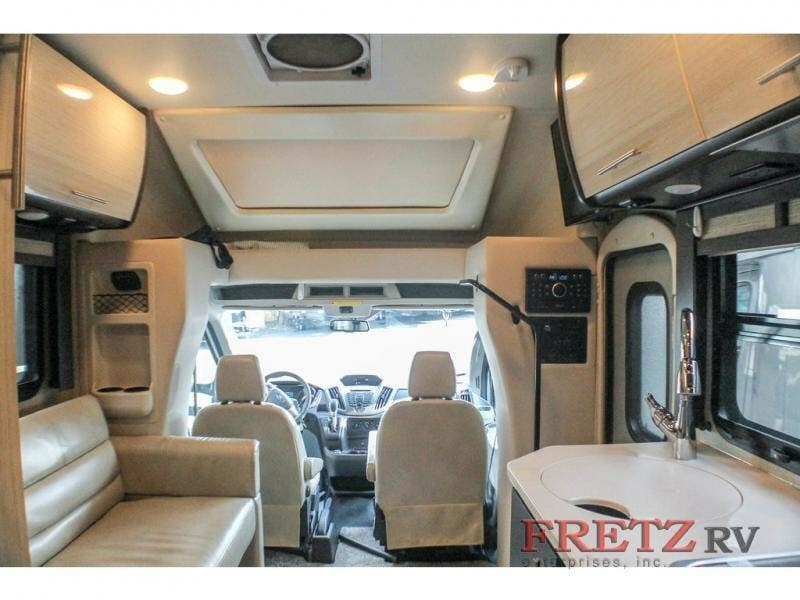 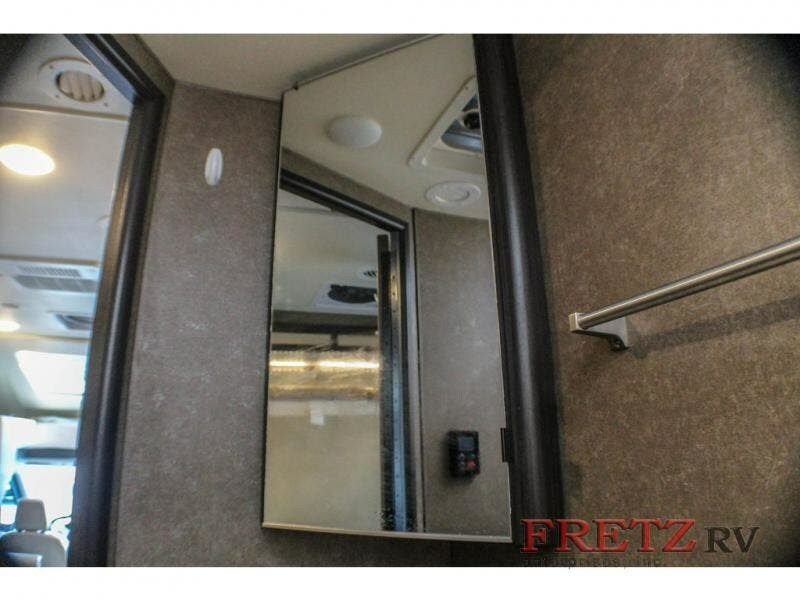 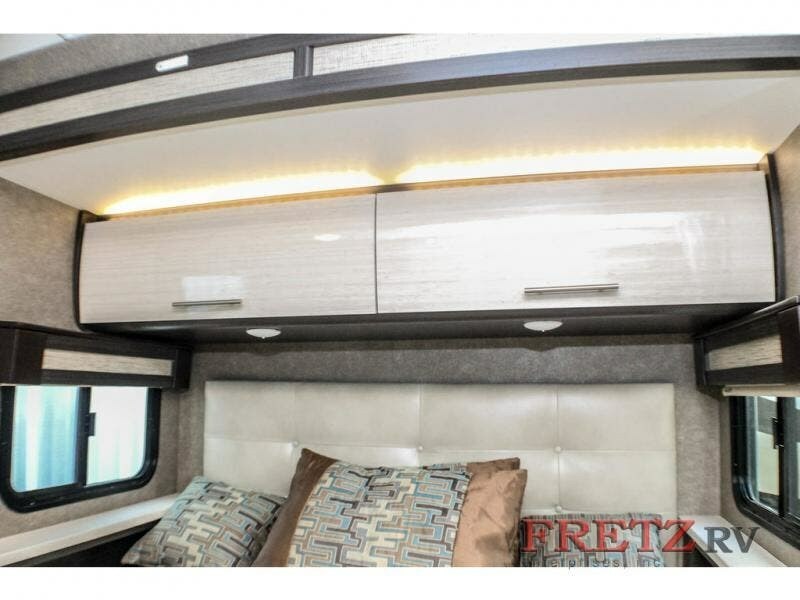 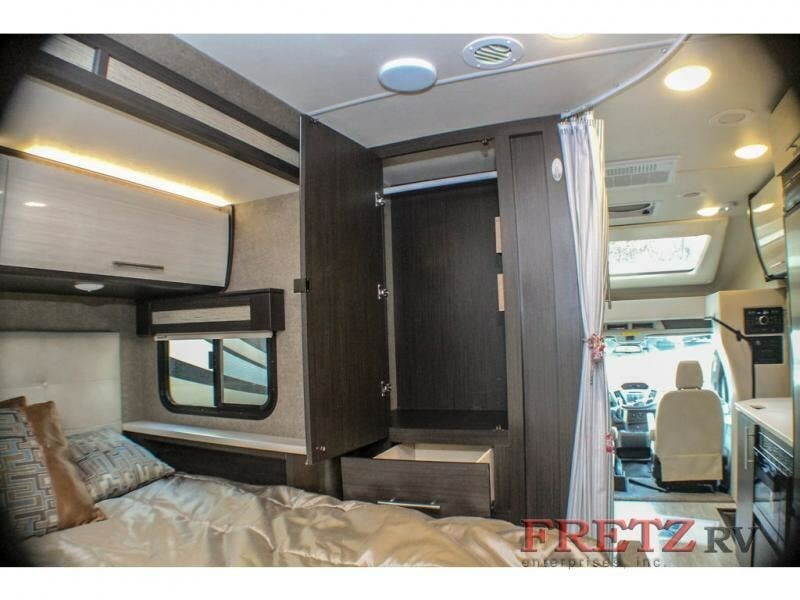 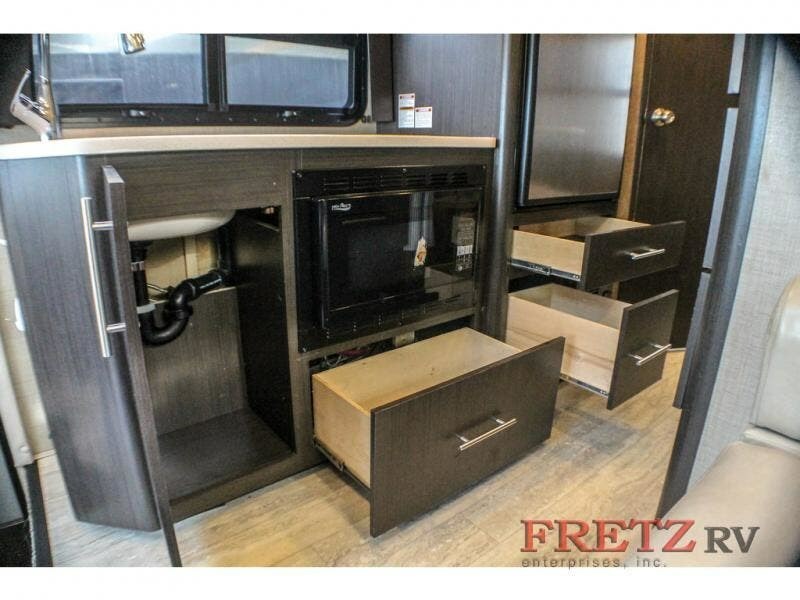 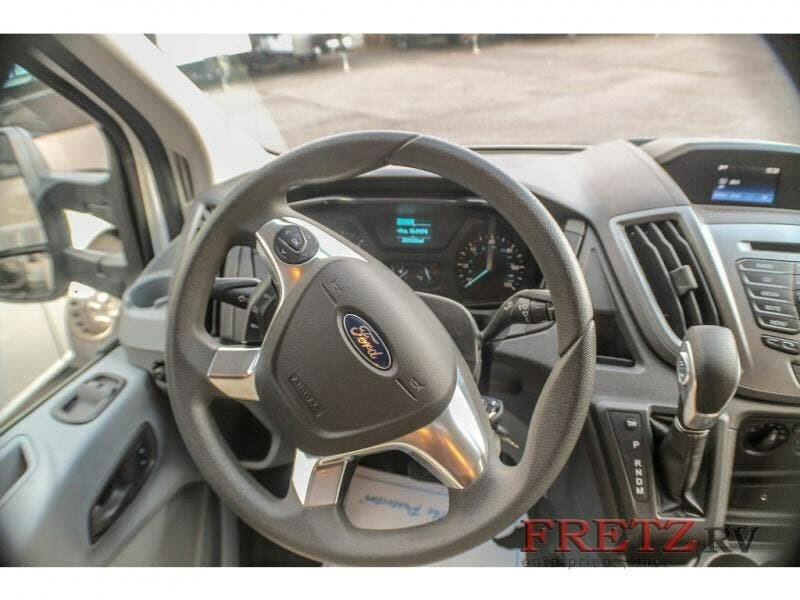 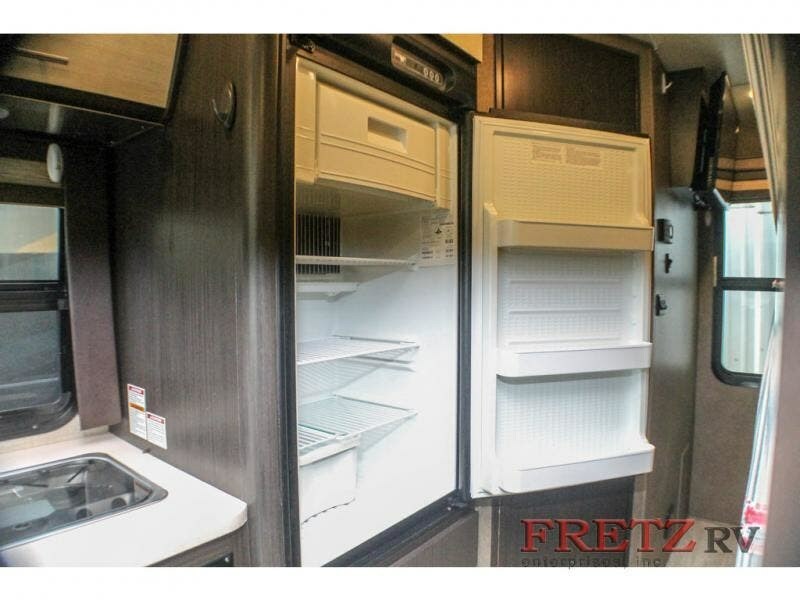 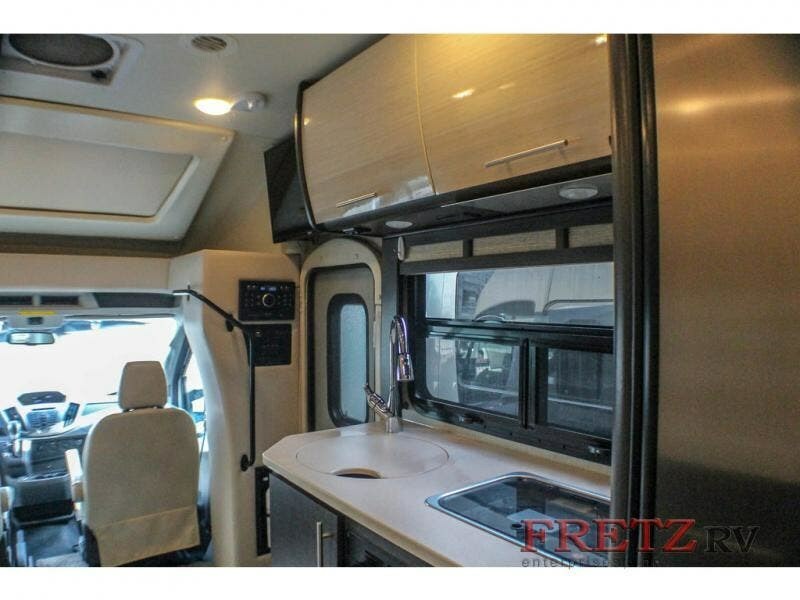 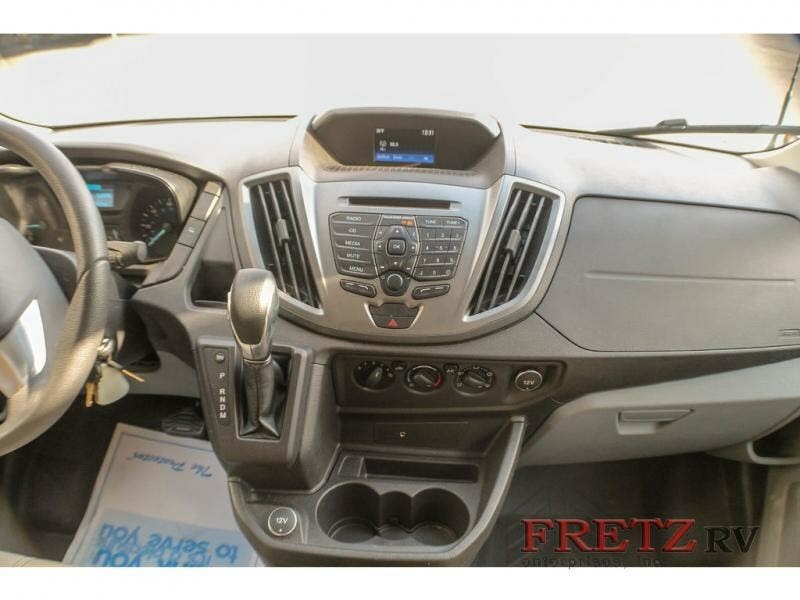 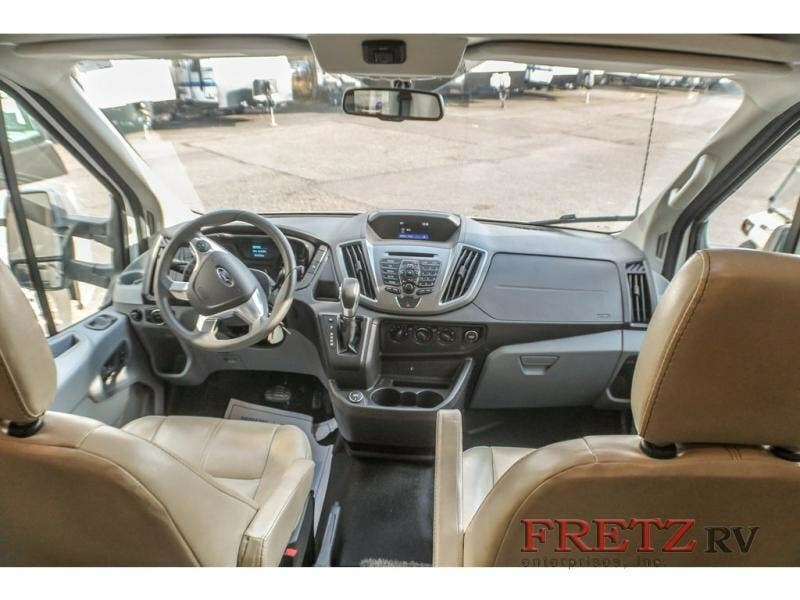 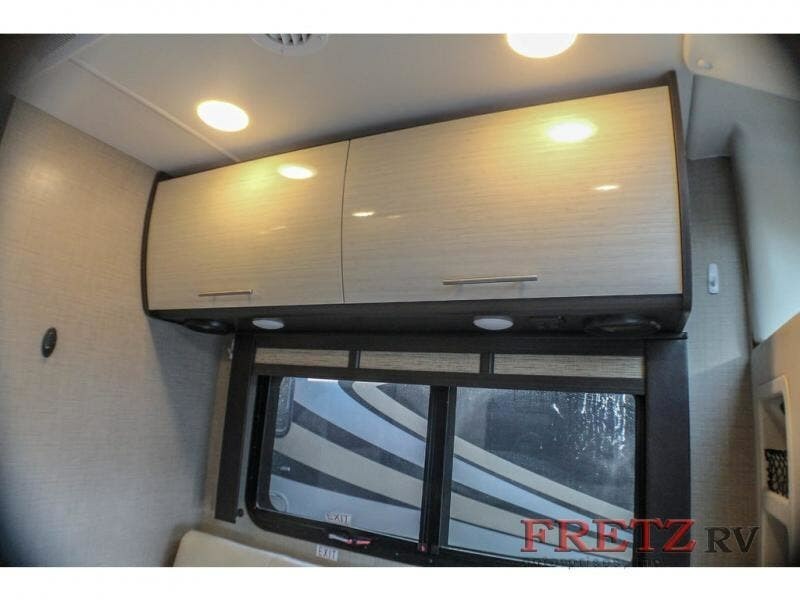 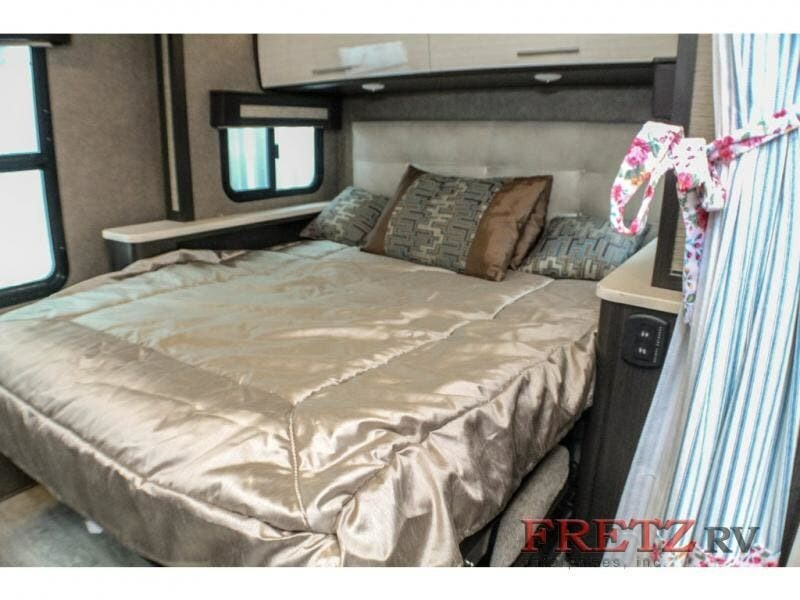 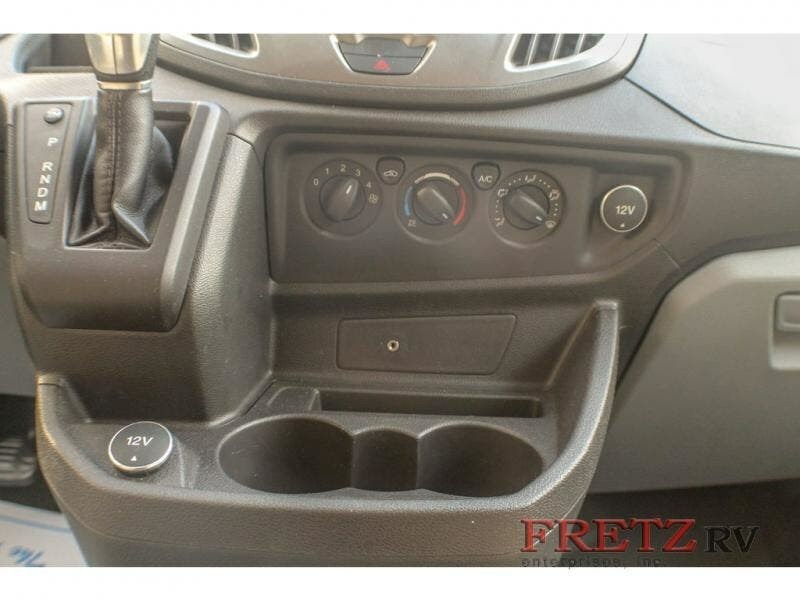 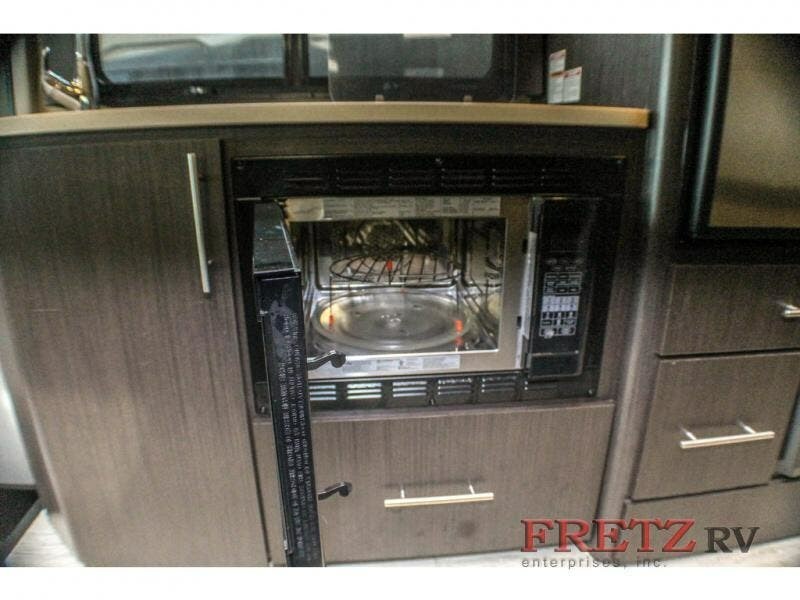 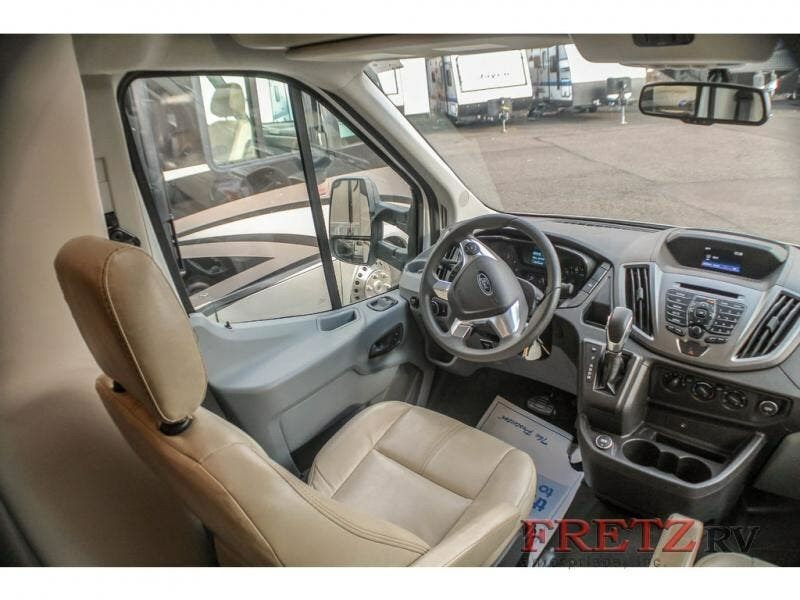 At Fretz RV we have a 12,000 Sq. 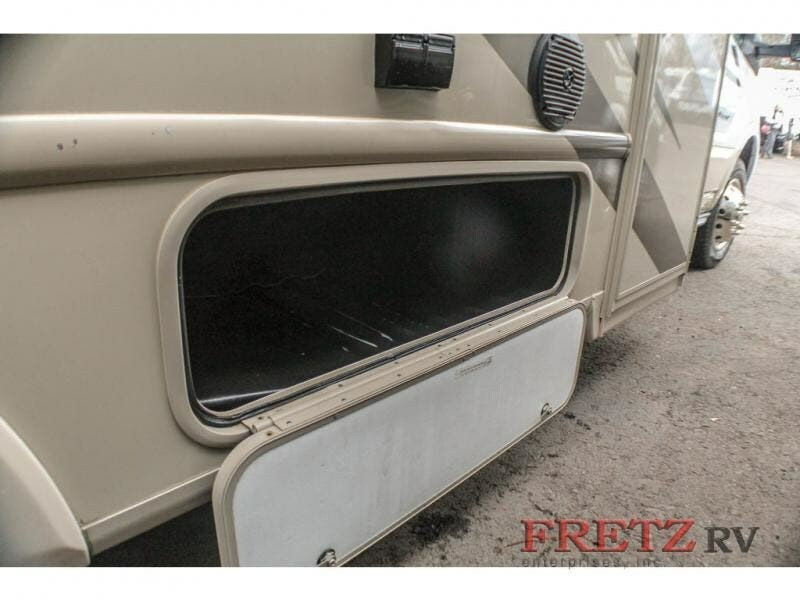 Ft showroom, a huge RV Parts and Accessories store. 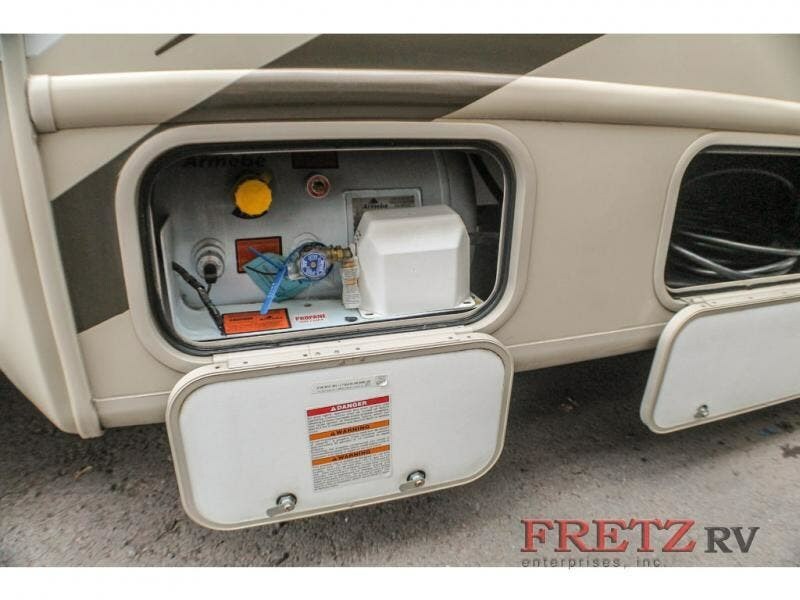 We have full RV Service and Repair with RVIA Certified Technicians. 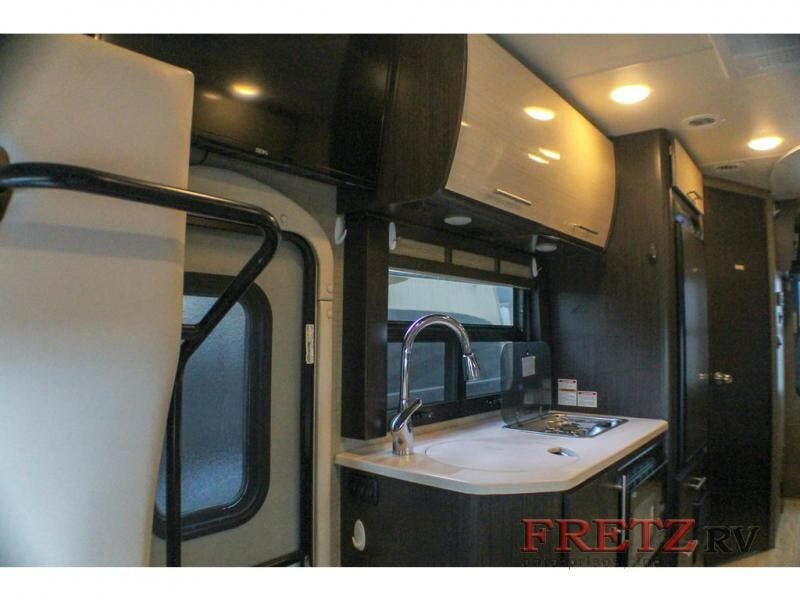 Bank financing is available for RV loans with a wide variety of RV lenders ready to earn your business. 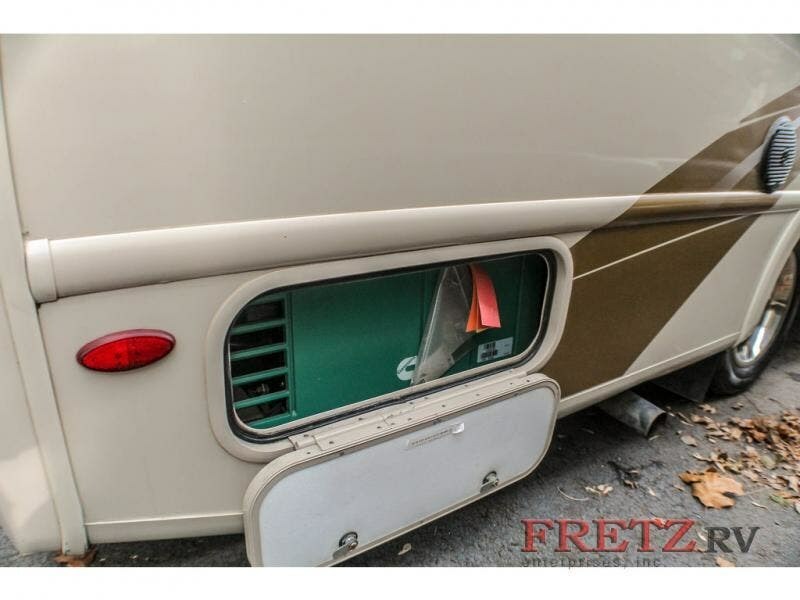 It doesn’t matter what state you are from, we have lenders that cover those areas. 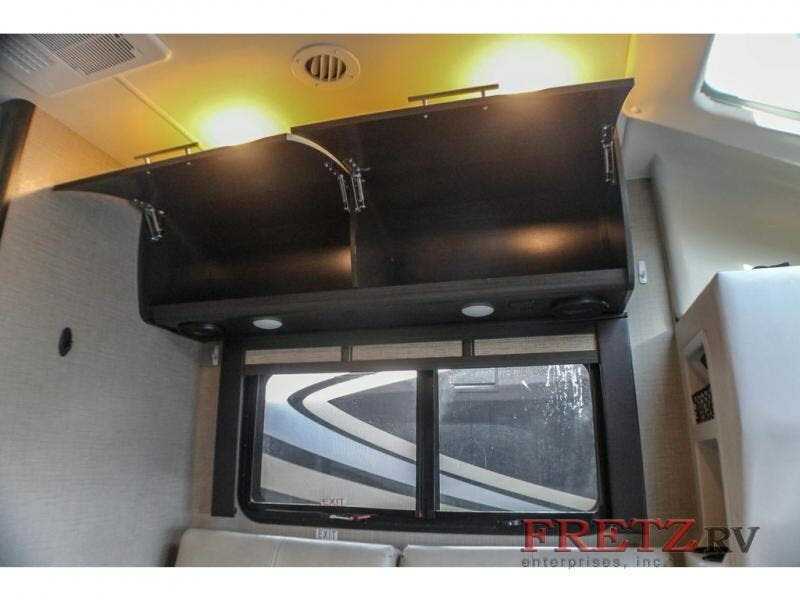 We have different RV warranty companies available. 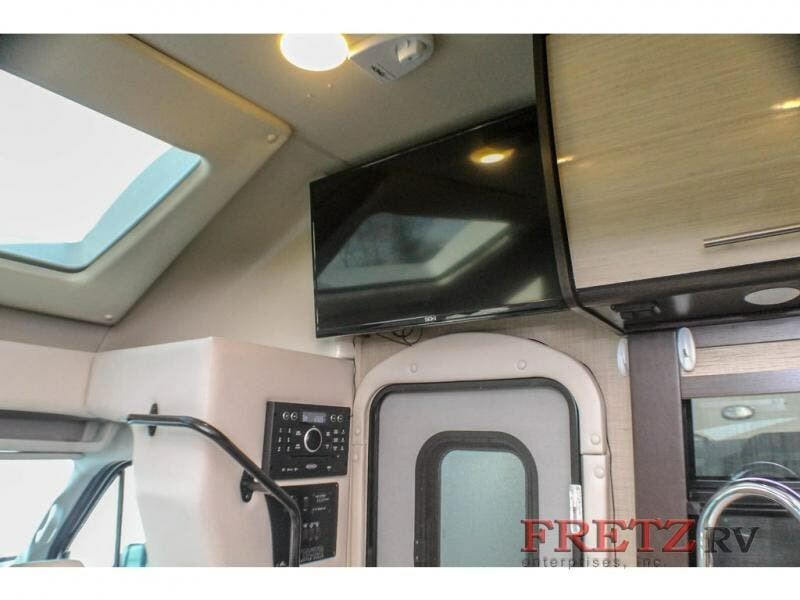 We can provide you with rapid RV Insurance quotes with minimal information. 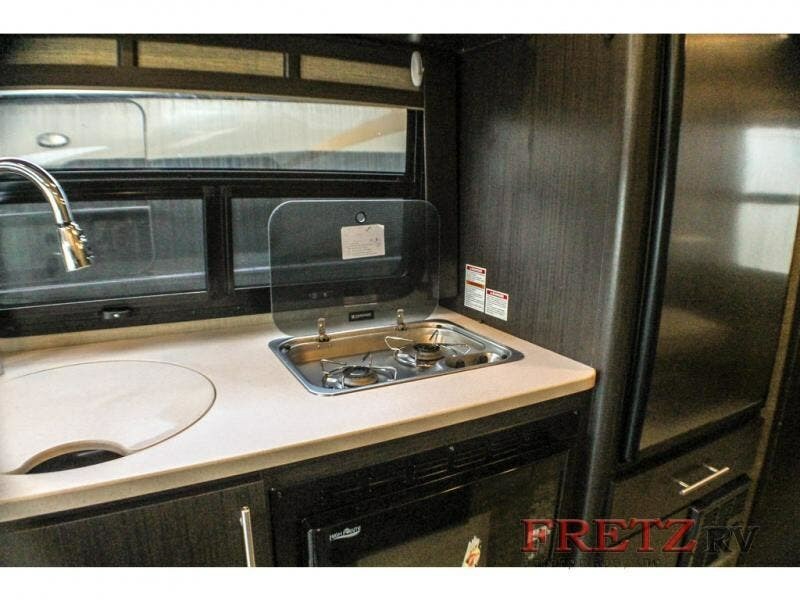 We have an RV rental program to serve your short term RV needs. 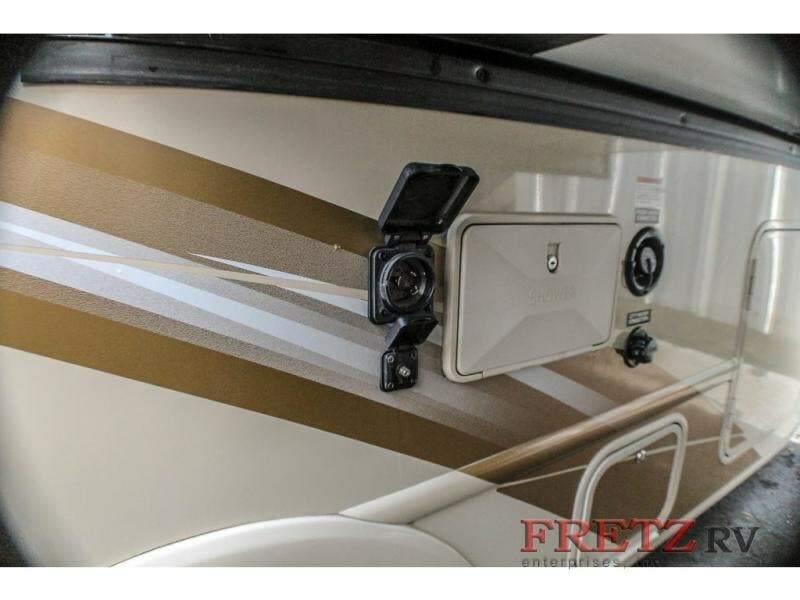 We have detailed videos on RV Trader, RVT, Classified Ads, eBay, and Youtube. 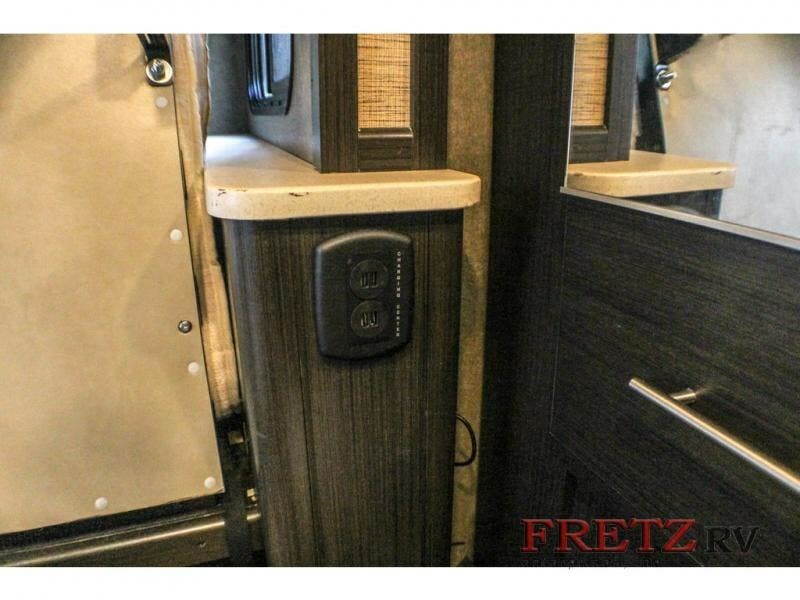 Like us on Facebook! 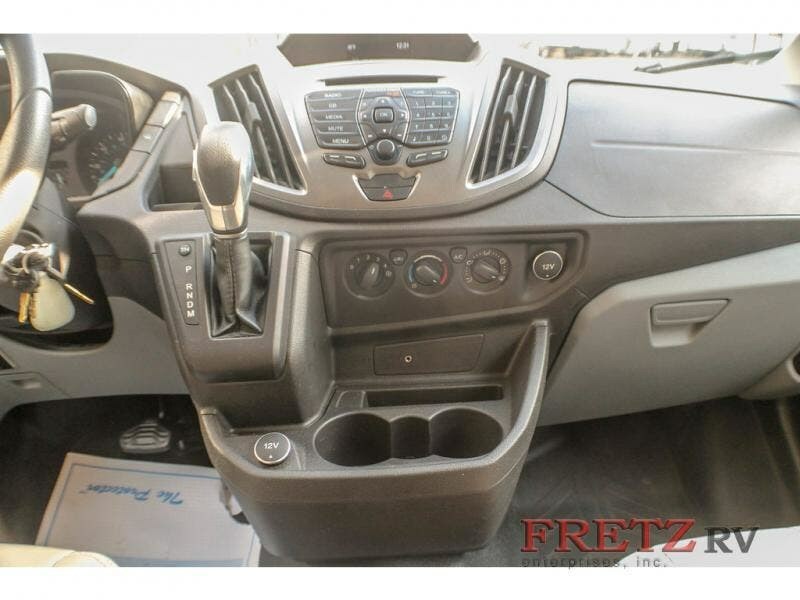 Serving all areas of our great nation! 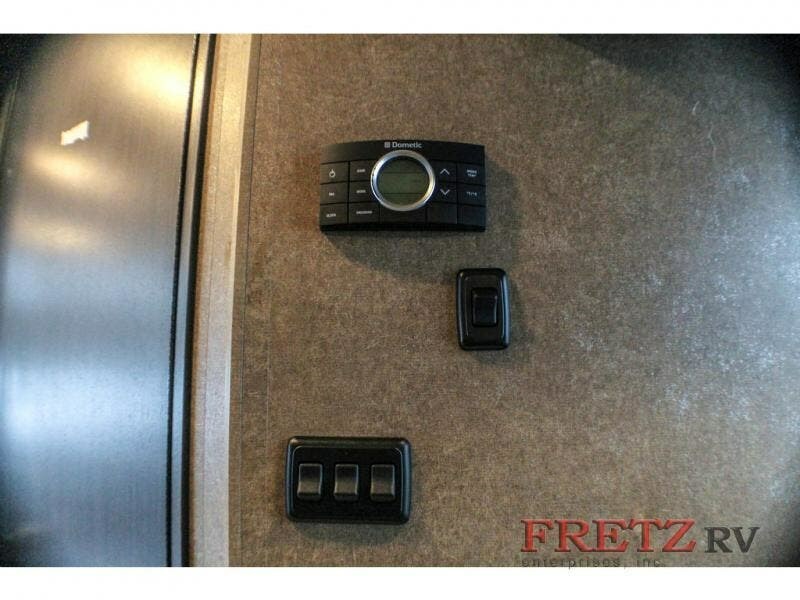 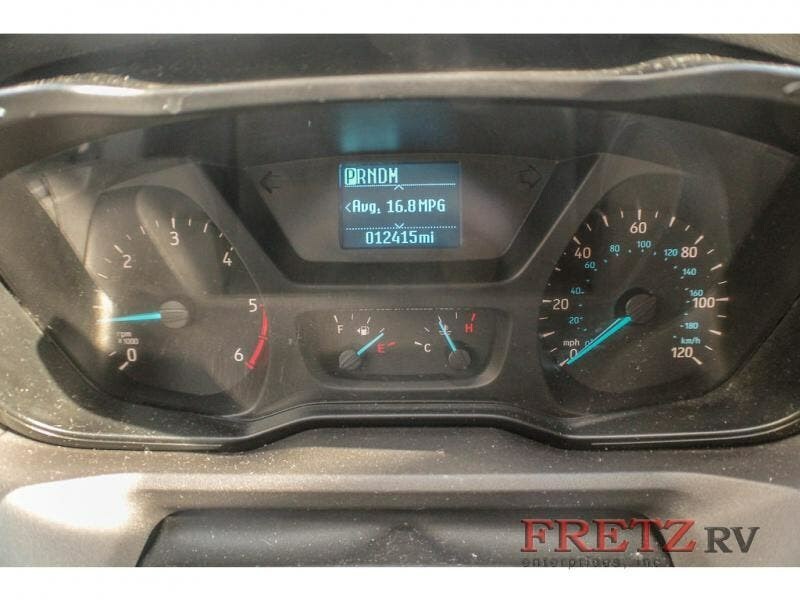 Check out our great Google and Dealer Rater reviews at Fretz RV. 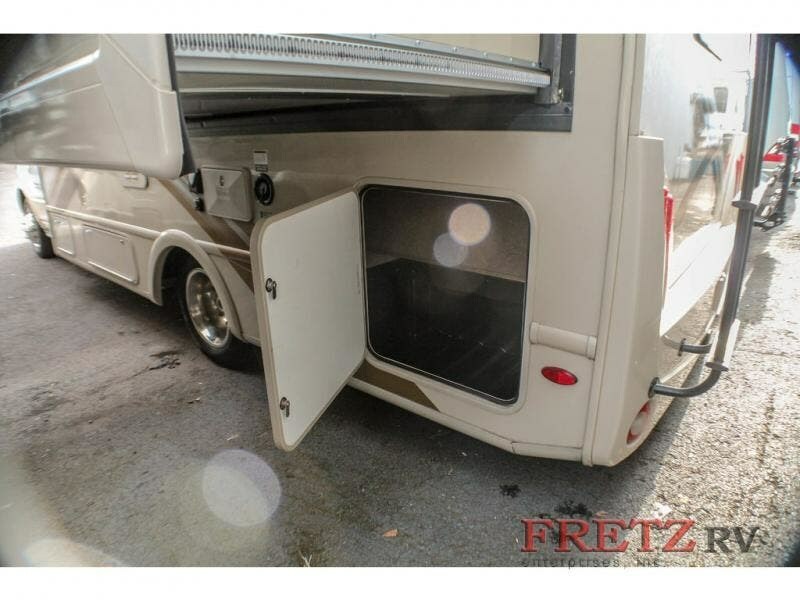 We are located at 3479 Bethlehem Pike, Souderton, PA18964 215-723-3121. 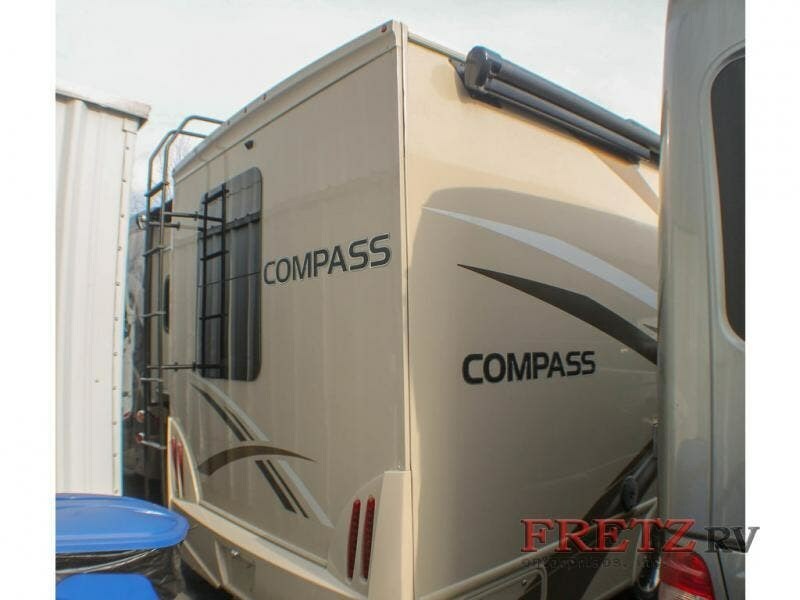 Start Camping now and see the world. 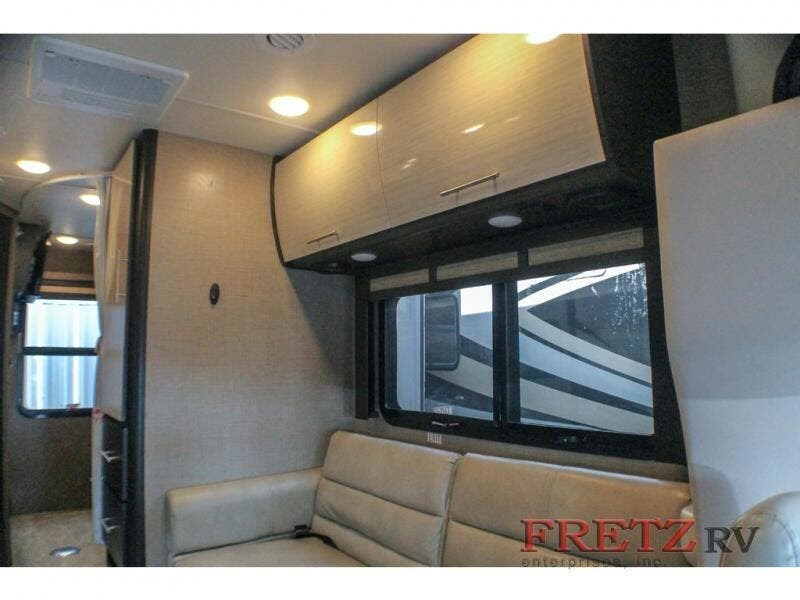 We pass RV savings Direct to you. 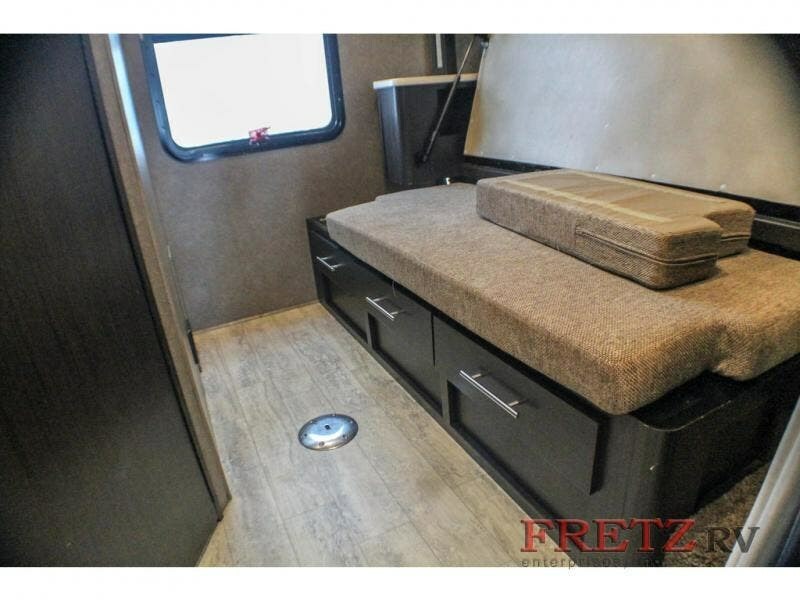 Call for Details! 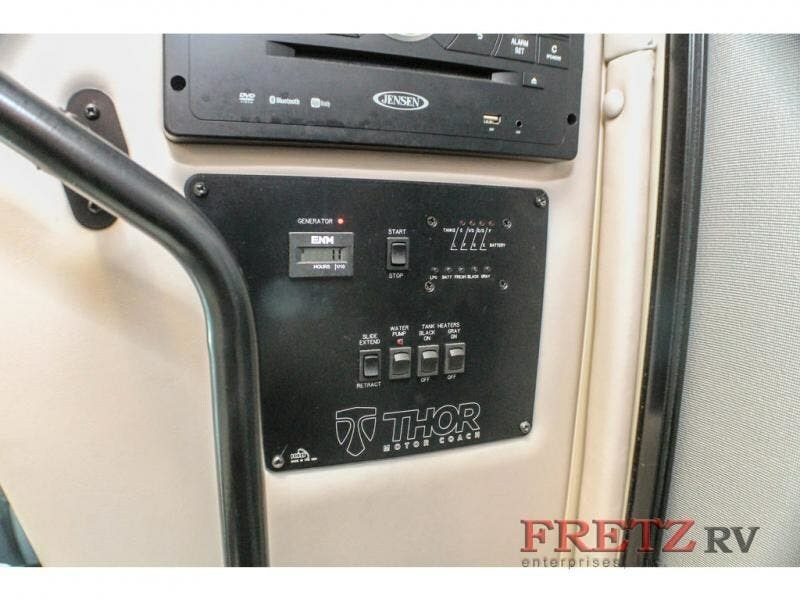 Check out Stock # 15553 - 2017 Thor Motor Coach Compass 23TB on thorrvsource.com!